Tony Irons had some nice things to say about Hargrove and Collins on 590 today. Said Hargrove can defend 1 through 4 and Collins is the smartest kid on the court in the area. I'm sure he said more but it was a pretty quick conversation. I didn't realize at the time how bad of a push off Stokes had on that final shot. The game is now up for protest! Seems like the easy money would be taking NCC with the points because SLU has played down to their lesser competition all season. I think it was on channel 5 Sunday morning they had the highlights from the Seton Hall game but had it titled as SLUH at Seton Hall. I went to Fieldhouse last night and it was pretty crowded. I wanted some food but it was 45 mins before game time. I asked the bartender what was quick he said anything you order we will get out in 10-15 mins. I ordered a sandwich and still made it in by tip-off. It's a good spot. It looks like he tweeted at Yuri when he was offered by SLU. One way or the other you would think he will need a mask. It's a pretty common thing in basketball so he should be fine. Just made a donation. Thanks, Steve! I believe that is gold and navy blue but regardless it's still bad. 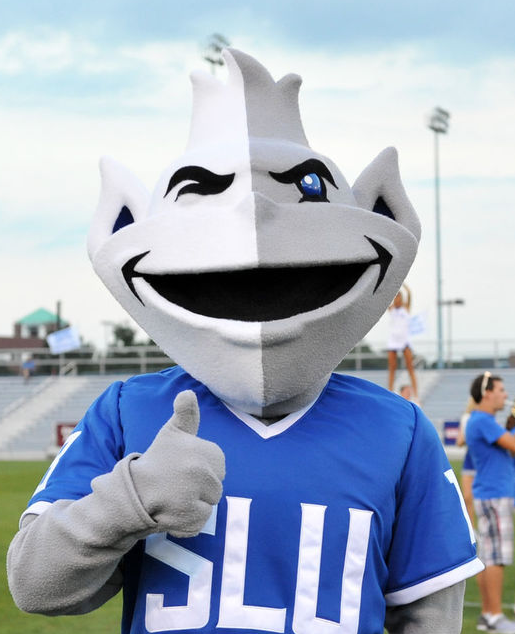 I want to say in the late 90s or early 2000s there were a few Billikens shirts that were gold and blue but more of a royal blue, not navy. If anyone heard the entire segment let us know if i heard wrong. I'm hoping I did. I didn't hear all of it but it sounded like Frank said on his show today that he thinks it's a little over 50% chance he still goes to SLU. He also said the tweet was about him breaking up with his gf.